Since 2008 Liverpool Art Prize has been a core aspect of Liverpool’s art scene, offering artists the opportunity to exhibit their work to a wider public, the Liverpool arts community and gain vital profile across a range of press and media channels. In 2010 Metal took over the management and strategic direction of the prize and have since hosted five successive years of the competition. In this time we successfully enabled a range of artists, born or based in the city, to participate in a strong and lively dialogue with audiences and the wider art world. While remaining committed to the continued development and profile of Liverpool’s contemporary visual artists, Metal has taken the decision to put the delivery of the prize on hold. This decision has been taken in order to consider the strategic direction of the prize and to invest in other methods of supporting the city’s contemporary artists. 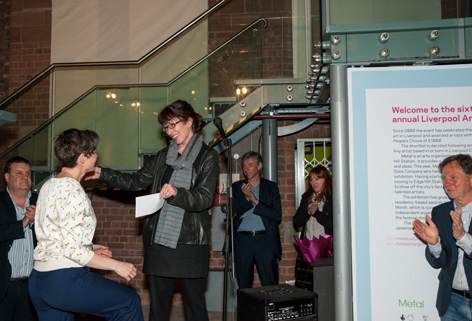 Tabitha Jussa was announced as the winner of the 2014 Liverpool Art Prize at a special awards ceremony at Edge Hill Station, collecting the main prize which includes £2000 and an invitation to create a solo exhibition at the Bluecoat in 2015. Work from Tabitha and the other two finalists Brigitte Jurack and Jason Thompson, have been on display since 9 May and the exhibition runs until Saturday 21 June. The shortlist and main prize winner were decided by a highly qualified panel of judges which includes Pavel Büchler, a Czech-born, UK-based artist, teacher and occasional writer, Francesco Manacorda, Artistic Director of Tate Liverpool and Simon Poulter, new media artist and Metal’s Associate Curator. 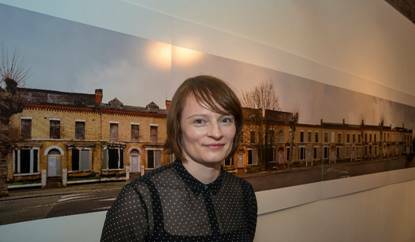 Tabitha’s socio-political photographic work has captured match-day crowds and abandoned social housing estates. Her recent large–scale compositions examine whether physical spaces and buildings define who we are. Her entry built upon this body of work by examining high profile, controversial examples of regeneration projects to highlight the triumphs, failures and short sightedness within society of the treatment of people and place. For the second year running the main prize winner has also matched the choice of the public as Tabitha also won this year’s People’s Choice Award, which comes with a prize of £1000. There were other prizes up for grabs at last night’s ceremony as the winners of the two residency opportunities were also announced; Robert D Davies was the lucky recipient of the yearlong residency at Metal and Dinu Li won the month-long residency to China in partnership with Shanghai Art School. Previous Liverpool Art Prize winners are Tabitha Moses, Robyn Woolston, Imogen Stidworthy, AL and AL, David Jacques and Marcus Soukup. The previous People’s Choice winners are Tabitha Moses, James Quin, Brendan Lyons, The Singh Twins and Elizabeth Willow, who have also gone on to achieve great respect within the industry. Last year Tabitha Moses became the first artist to win both the People’s Choice and the overall prize in the same year. She will be presenting a solo exhibition of her work at the Walker Art Gallery during 2014. On Friday 9 May 2014 the Liverpool Art Prize will once again return to the city for its 7th successive year. Exhibition: at Metal at Edge Hill Station. Friday 9 May to Saturday 21 June 2014. Entrance is FREE. Open Thursday – Saturday 11.00 – 17.00. Managed by Metal, the Art Prize celebrates and nurtures the creative talent of artists based or born in the Liverpool region and this year 3 lucky entrants have been successfully shortlisted as finalists. The exhibition runs for 6 weeks between 9 May – 21 June and returns to its original home at Edge Hill Station for 2014, after moving to the City Centre in 2013 as part of the 25th Anniversary celebration of the historic Albert Dock. This year Metal are delighted to present the work of three artists, Brigitte Jurack, Tabitha Jussa and Jason Thompson, to coincide with the International Festival of Business’ Cultural Programme, IFB Culture. 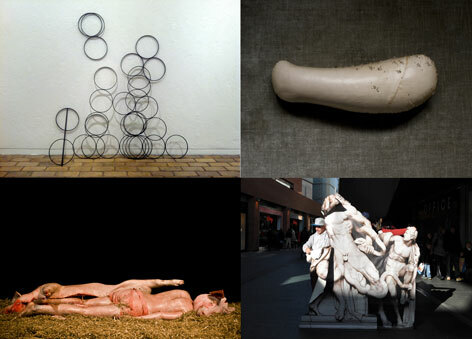 Each of the artists have created new work in response to being shortlisted for the prize. 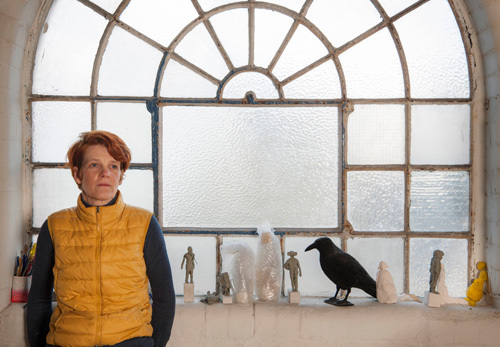 Wirral based Brigitte Jurack’s sculptures and installations seek to trigger memories of being, in place and in time. For her entry she has prepared a new body of work named ‘The Explorers Are Gone for Tea’. In this work, her interest in orienteering, map reading, interpretation and re-evaluation will be played out. 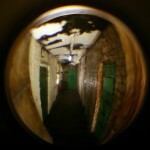 Tabitha Jussa’s socio-political photographic work has captured match-day crowds and abandoned social housing estates. Her recent large–scale compositions examine whether physical spaces and buildings define who we are. Her entry intends to build upon this body of work by examining how other UK councils have dealt with mass displacement and empty housing with a view to a comparison between the UK, Europe and the rest of the globe. The final entry, Jason Thompson‘s paintings take inspiration from mechanical, botanical and anatomical diagrams. Their repetitive patterns are made by copying, mirroring and or echoing other parts. Structures are formed by this feedback process and it is as though the painting begins to paint itself, like a natural evolutionary process. They will each be competing for the coveted main prize of £2000 and an invitation to create a solo exhibition at the Bluecoat in 2015, with the winner being selected by a panel of expert judges – Pavel Büchler, a Czech-born, UK-based artist, teacher and occasional writer, Francesco Manacorda, Artistic Director of Tate Liverpool and Simon Poulter, new media artist and Metal’s Associate Curator. Visitors will also get the chance to vote for their favourite piece resulting in a People’s Choice Award of £1000. There will be a special awards ceremony on 18th June announcing the winners. 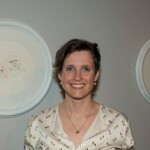 Last year Tabitha Moses became the first artist to win both the People’s Choice and the overall prize in the same year. She will be presenting a solo exhibition of her work at the Walker Art Gallery during 2014. The exhibition will be accompanied by a series of events and exhibitions happening in and around the city centre programmed by a consortium of the city’s studio groups and independent arts organisations for Liverpool Art Month. This year’s highlights include Movie Cars Exhibition by Mark Harrison and 104 Duke Street Studio’s proudly showcase its residing Artists’ individual projects in the studio’s debut exhibition, amongst many other exciting events involving local artists. Metal are pleased to announce the shortlist for the seventh annual Liverpool Art Prize; local artists Brigitte Jurack, Tabitha Jussa and Jason Thompson. The Liverpool Art Prize has been successfully awarding the city region’s most exciting and inspiring contemporary visual artists for the past seven years. The exhibition of the shortlisted artists’ work will take place in Liverpool during May and June 2014, to coincide with the International Festival of Business. The artists will compete for the £2000 cash prize announced at an Awards Ceremony in June. A new partnership with the Bluecoat will invite the winning artist to present a solo show in their Vide space in 2015. The People’s Choice award of £1000 is selected by a public vote taken at the gallery. The judges considered the work of 53 artists, born or currently based in Liverpool City Region, who put forward their work following an open nomination process. Pavel Büchler, a Czech-born, UK-based artist, teacher and occasional writer, Francesco Manacorda, Artistic Director of Tate Liverpool and Simon Poulter, new media artist and Metal’s Associate Curator were unanimous in deciding to shortlist these three outstanding artists. Nominations were open to any contemporary visual artist based in or born in Liverpool City Region (including the boroughs of Halton, Knowsley, Sefton, St Helens and Wirral) and the shortlist was decided by considering the contribution or impact they have made to the local, national or international art scene. The prize of £2000 pounds is awarded to the winning artist. The winner of the People’s choice award decided on by the public voting at the gallery will be awarded with £1000. Nominations close at midnight on Friday 1st November. The nomination process is slightly different this year. We will follow up each nomination by requesting further information from each artist, including Artist Statement, CV, and a selection of 5 images. Where possible please check with the artists before making your nomination. CLICK HERE FOR NOMINATION FORM PAGE. Artists who have been shortlisted for the prize in the previous two years are disqualified from the prize. Artists will need to be available to exhibit as part of the Liverpool Art Prize 2014 (late April to Early June 2014, exact dates to be confirmed). Nominations are welcome from emerging or established artists but nominated artists need to have made a demonstrable contribution or impact on the art scene and to have developed a unique and individual art practice. Nominations are accepted from all visual art disciplines (sculpture/painting/performance/installation/film etc). Jude Kelly, OBE founder and Chair of Metal, Artistic Director at the Southbank Centre. 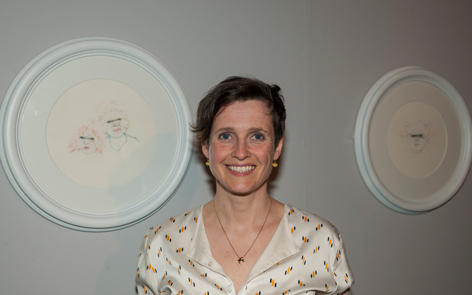 Liverpool artist Tabitha Moses has been named as the winner of the 2013 Liverpool Art Prize in an award ceremony at the Grand Hall at the city’s Albert Dock, where work from Tabitha and 3 other shortlisted artists, Julieann O’Malley, Laurence Payot and Kevin Hunt has been on display since 26 April. The exhibition will continue to run until Saturday 8 June. The Liverpool Art Prize, managed by the city’s Metal gallery, is a competition of contemporary art, which was inspired by the Turner Prize coming to Liverpool during the Capital of Culture year in 2008. It is open to all professional artists based or born in Liverpool City Region, including the surrounding boroughs of Liverpool, Wirral, St Helens, Knowsley, Halton and Sefton. The shortlist and main prize was decided by a highly qualified panel of judges, which comprises Sally Tallant (Director of Liverpool Biennial), Tim Etchells (multi-disciplinary artist), Laura Davis (Arts Editor, Liverpool Daily Post) and Robyn Woolston (Artist and winner of Liverpool Art Prize 2012). In addition to the main prize, Tabitha Moses also won the ‘People’s Choice Award’ which this year was dedicated to Liverpool artist Joe Bampton who sadly passed away in February 2013. This is the first time in the history of Liverpool Art Prize that one of the 4 shortlisted artists has won both the Main Prize and the People’s Choice Award. Tabitha Moses is interested in the meanings and possibilities of materials. Although fabric and stitch are central to her practice, her works take many forms. Craft processes combine with conceptual rigour and emotional depth in response to people, places, spaces and things. 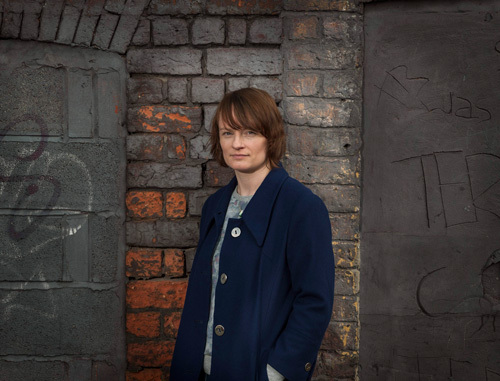 Tabitha was born in Liverpool and spent the 1970s making things and reading stories. After studying embroidery she worked for 8 years in film and TV costume before gaining her MA in textiles beginning to practice as an artist. 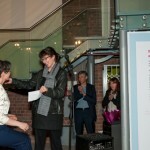 As the overall winner of the Liverpool Art Prize Tabitha will receive £2,000. She will also receive £1,000 as her prize for winning the People’s Choice Award. The 2013 Liverpool Art Prize, ‘People’s Choice Award’ will be presented in fond memory of the Liverpool artist, Joe Bampton. Joe who in recent years lived in London, was an accomplished artist, attended Slade School of Fine Art and exhibited in places such as London, Paris and Berlin, as well as the Bridewell & the International exhibition at the CUC in 2008, in Liverpool. Joe was tragically killed in February of this year in a hot air balloon disaster at Luxur, Egypt, Joe’s partner Zsi also tragically died in the incident. Joe regularly returned to Liverpool to catch up with friends and spend time with his Mum, Maureen who is known to many lovers of art in Liverpool as the director of the Bluecoat Display Centre, supporting the sale of artist’s work for over 25 years. Joe would have been very keen to see artists in the city rewarded and for their careers to flourish. We want to honour his memory by presenting this years ‘People’s Choice Award’ in his name. Metal is very grateful to Maureen Bampton for her kind donation to the Liverpool Art Prize. Following the success of the inaugural Liverpool Art Month in 2012, this celebration of emerging artistic talent returns this May to showcase the city’s artists. Liverpool Art Month runs alongside the Liverpool Art Prize exhibition period, with a new Art Month Hub Space opening at the Albert Dock at the Grand Hall which also the new home for the Liverpool Art Prize exhibition. Liverpool Art Prize exhibition, managed by Metal, opens in its new home of the Grand Hall, Albert Dock this Friday, 26 April with Liverpool Art Month kicking off on 1 May. Both will then run until 8 June. Liverpool Art Month provides a programme of events and exhibitions, spread across a number of exciting and undiscovered locations in association with the city’s leading independent arts organisations, studio groups and artists networks including Arena Studios and Gallery, Bridewell Studios and Gallery, Dot-Art, Redwire Studios, The Royal Standard, Wolstenholme Creative Space, Matt Ford Studio, Mello Mello and POST Female Artists Network. The network of artists and gallery spaces is hoping to attract the country’s art lovers to Liverpool city centre to see the Liverpool Art Prize alongside the creative emerging talent found in the independent Liverpool Art Month venues. The Art Month Hub Space at the Albert Dock will provide information about the Art Month programme of events and exhibitions at participating venues and display artwork for sale through an online auction in an exciting new crowd funding initiative. Artists in association with the Art Month have made original artworks based on the Art Month logo, with the exhibition itself titled ‘Making Shapes’. 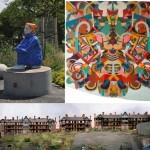 More information about the online auction can be found on the Liverpool Art Month website www.liverpoolartmonth.com. Visitors will also be able to pick up a copy of edition No.4 of Trading Station, ‘Outcome Consequence/Effect’ or a Limited Edition series of all the Trading Station Newspapers by the POST artists group. The 2013 Art Month kicks off with previews of the exhibitions Landscape 2013 at the Corke Gallery on Wednesday 1st May, The Drifters Escape at Bridewell Studios and Gallery on Thursday 2nd May and Living Artefacts at Mello Mello on Friday 3rd May. Visitors will be invited to discover these independent venues and the local talent showcased in these exhibitions. The Walker Art Gallery will be showing Strangers in a Strange Land by last year’s Liverpool Art Prize winner, Robyn Woolston, which has been on show since 23rd March and will continue throughout May until 23rd June. There will be a talk by the Artist at the Walker Gallery on Saturday 11th May at 1pm. Arena Studios and Gallery will host its 11th Annual Auction with established and newly emerging artists from a diverse range of disciplines submitting work to be sold at auction in Elevator Café Bar, Parliament Street, on Friday 3rd May. Arena promises an exciting auction night with an electric atmosphere, as the bids rise higher and higher. The artwork up for Auction will be on show in the Elevator Café from Monday 29th April. On Auction night, registration starts from 5pm with the Auction kicking off at 7pm. The programme at Arena Studios and Gallery continues with Something to do with Death, a congregation of dark drawings by Paul Bywater, at Arena Studios and Gallery, which can be previewed on 9th May and continues until Sunday 9th June. Further exhibitions in the Art Month programme will open on 17th May in association with Light Night Liverpool. For one night only on Light Night visitors to the Matt Ford Studio can enjoy the Lowe Photo Booth Project, providing the opportunity to visit the studio and be part of a live interactive photography event. An exhibition at Matt Ford Studio, of work by photographer/artists Matt Ford and Lu Lowe will continue throughout Art Month. Also on 17 May, Bridewell Studios and Gallery opens with Possible Impossibilities, a selection of drawings and drawing practices by Liverpool artists from an open submission opportunity. The exhibition will include performance, workshops and interventions, continuing until Friday 31st May. The Royal Standard previews the exhibition Black Sun Horizon, a group show exploring the roots of contemporary boredom curated by Dave Evans, which will be open until Sunday 2nd June. Wolstenholme Creative Space presents Liverpool, Unfinished; an evocative photography series of colour portraits and landscapes of Merseyside during the 1980’s by Rob Bremner in conjunction with Look 13 (Liverpool International Photography Festival) on show at Drop the Dumbells until Sunday 2nd June. Arena Studios and Gallery will be providing Open Studios with a twist and Breeze Studios will also be hosting an Open Studios event including performance and exhibition Breeze Bonanza. Mello Mello will be open for Of Time and Place – Futures Lost and Found, a 3D Video Projection Mapping Installation. The Art Month continues with Red Wire Studio group presenting Open Studios on Tues 21st May – Wed 29th May, with an open evening on Friday 24th May with food, drinks and live local bands. On Thursday 23rd May there will also be the opportunity to see the LJMU School of Art and Design final degree show at the Art and Design Academy (ADA), on Duckinfield Street (next to the Catholic Cathedral). The Degree show is then open from Friday 24th May—Saturday 1st June for further viewing. The Art Month is also offering a free informal discussion and tour of the Liverpool Art Prize Exhibition at the Albert Dock, every Wednesday throughout May from 1pm – 2pm. In the wake of the announcement of the 4 talented local artists who have been shortlisted for Liverpool Art Prize 2013, the prize’s organisers Metal can now reveal that this year’s exhibition of finalists’ work will move into Liverpool City Centre for the very first time in the competition’s 6-year history. The 2013 Liverpool Art Prize Exhibition will be housed in the Grand Hall at Liverpool’s historic Albert Dock – which this year celebrates the 25th anniversary of its official reopening – from Friday 26 April until Saturday 8 June. The shortlist which comprises local artists Kevin Hunt, Tabitha Moses, Juliann O’Malley and Laurence Payot was decided by a highly qualified panel of judges, which comprises Sally Tallant (Director of Liverpool Biennial), Tim Etchells (multi-disciplinary artist), Laura Davis (Arts Editor, Liverpool Daily Post) and Robyn Woolston (Artist and winner of Liverpool Art Prize 2012). The shortlisted artists will need to continue to impress the panel with the work they exhibit at the Liverpool Art Prize exhibition in order to win. The winner will be revealed at an awards ceremony on Wednesday 29 May at which the People’s Choice Award winner will also be revealed. The overall winner of the Liverpool Art Prize will receive £2000 and be offered a show at The Walker Art Gallery during the ensuing 12 month period. A People’s Choice Award winner, determined by a public vote from visitors to the exhibition, will receive £1000. The Liverpool Art Prize is a competition of contemporary art, which was inspired by the Turner Prize coming to Liverpool during the Capital of Culture year in 2008. It is open to all professional artists based or born in Liverpool City Region, including the surrounding boroughs of Liverpool, Wirral, St Helens, Knowsley, Halton and Sefton. Previous Liverpool Art Prize winners are Robyn Woolston, Imogen Stidworthy, AL and AL, David Jacques and Marcus Soukup who exhibited at the Walker Art Gallery as part of his prize in 2012.The previous People’s Choice winners are James Quin, Brendan Lyons, The Singh Twins and Elizabeth Willow, who have also gone on to achieve great respect within the industry. Robyn Woolston, last year’s winner, will present her exhibition at the Walker Art Gallery ‘Stranger in a Strange Land’, from Saturday 23rd March. The exhibition will be accompanied by a series of events and exhibitions happening in and around the city centre programmed by a consortium of the city’s studio groups and independent arts organisations for Liverpool Art Month. This year’s highlights include the Arena Art Auction, ‘The Drifter’s Escape’ exhibition at the Bridewell featuring work inspired by the music of Bob Dylan, and the Lowe Photo Booth project at Matt Ford Studio for Light Night, amongst many other exciting events involving local artists throughout the month of May. More information can also be found at www.liverpoolartprize.com and www.liverpoolartmonth.com. 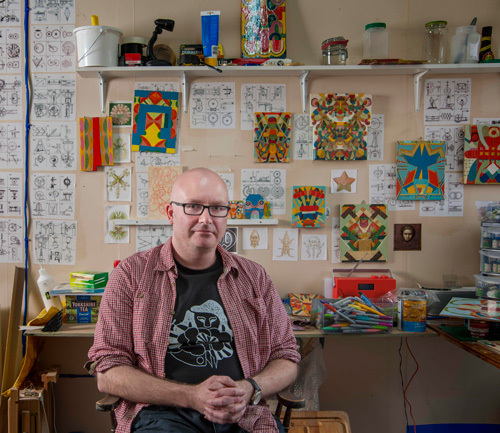 Local artists Kevin Hunt, Tabitha Moses, Julieann O’Malley and Laurence Payot have been revealed as the shortlist for the 2013 Liverpool Art Prize as it returns for its 6th successive year. 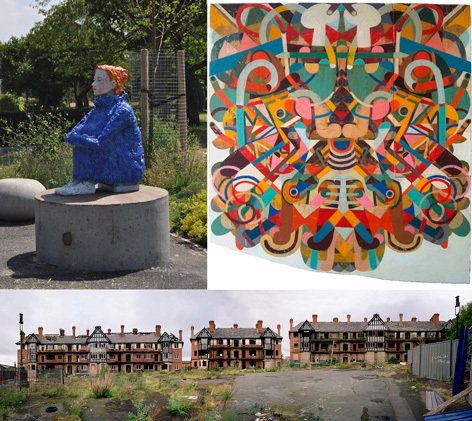 All four will exhibit their work in Liverpool from Friday 26 April – Sat 8 June (PV Thursday 25 April) in the hope of winning the prestigious prize, which was established in Liverpool’s Capital of Culture year 2008. 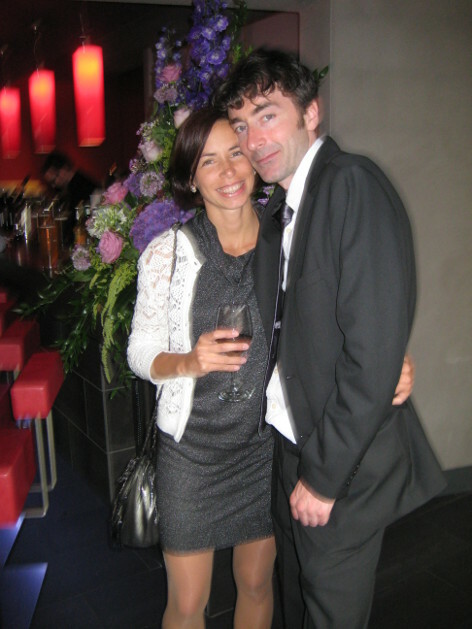 The Liverpool Art Prize was founded by Art In Liverpool’s Ian and Minako Jackson and is now managed by Metal. The shortlist was whittled down from the 52 entries received by the organisers, by a highly qualified panel of judges, which comprises Sally Tallant (Director of Liverpool Biennial), Tim Etchells (multi-disciplinary artist), Laura Davis (Arts Editor, Liverpool Daily Post) and Robyn Woolston (Artist and winner of Liverpool Art Prize 2012). The shortlisted artists will need to continue to impress the panel with the work they exhibit at the Liverpool Art Prize exhibition in order to win. The winner will be revealed at an awards ceremony on Wednesday 29 May at which the People’s Choice Award winner will also be revealed. The overall winner of the Liverpool Art Prize will receive £2000 and will also be offered a show at The Walker Art Gallery at some point during the ensuing 12 month period. The People’s Choice Award winner, determined by a public vote from visitors to the exhibition, will receive £1000. 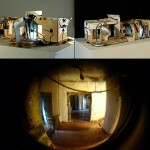 Julieann O’Malley is an interdisciplinary artist based in Liverpool. Her practice is fundamentally live durational performance installations, video work, sound and photography. Kevin Hunt is a sculptor based at Liverpool’s The Royal Standard concurrently working on a number of curatorial projects alongside his practice as an artist. He constructs sculpture utilising the found and redundant, reconfiguring these things to expose an inherent beauty, playfully tampering with the poetics of found form. 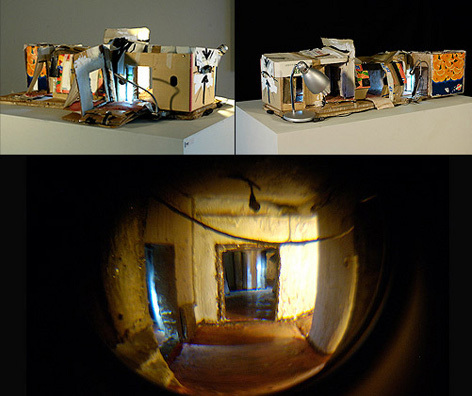 Laurence Payot infiltrates our everyday to create short-circuits and challenge our pre-conceived perceptions. From interventions and sculptures in the public realm, to larger collective performances, she generously invites the viewers to become active participants, blurring the line between the work and its audience. 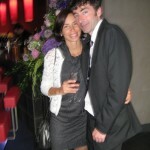 Laurence has been based at The Royal Standard for the last 8 years, and is originally from Metz, France. Tabitha Moses lives in Liverpool and is based at Bridewell Studios. Her work concerns the tangible expression of human experience. Her subjects include murder, bodies, skin and Blackpool.